This village renewal project focused on promoting and strengthening of local food service systems, via the development of short food-supply chains based around direct sales methods at a local farmer’s market. 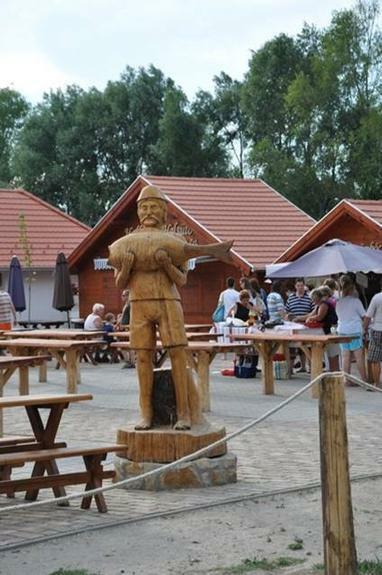 A gap in the local food market for more freshwater fish products was identified by local rural businesses from the Gyenesdiás area (which is situated in the area of Hungary’s Lake Balaton). Regional retail trends had tended to favour frozen imported fish from South America but consumer demand was identified for the indigenous Balaton fish species, and so RDP funding was sought to help local businesses supply this demand for traditional local food. 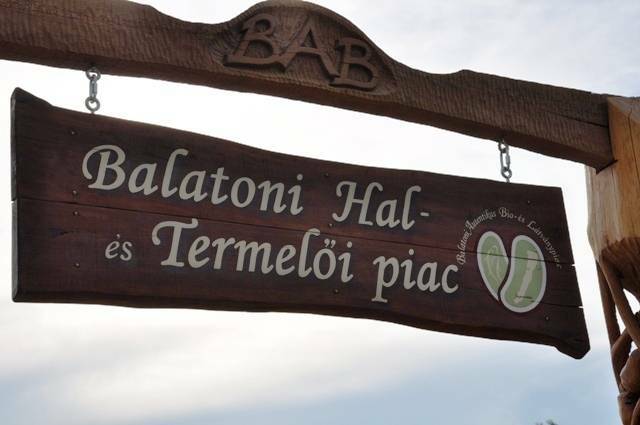 The project’s main objective focused on boosting the demand for Balaton fish in order to increase income opportunities for rural businesses, safeguard traditional gastronomic heritage and strengthen the region’s identity as a source of distinctive high quality local food. Direct sales techniques through a new farmer’s market type facility aimed to help the local food producers gain better contact with customers in order to gain consumer feedback. The main investment involved building a new market place facility. Nine wood pavilions were acquired which provided 30 sales places where producers could display their local food products in an attractive manner that met food safety standards regulations. 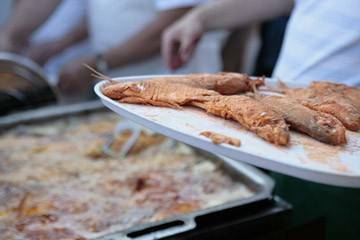 Contacts were signed with local producers to supply the market and a campaign was launched to raise awareness about Balaton fish products in a way which also promoted sustainable consumption habits via local short food-supply chains. The project strengthened and provided diversification opportunities for rural businesses through new sales channels for local food products. The project gained good local attention and helped mobilise farmers to participate in the local food service by providing fish and other products. Consumers gain from a wider range of fresh and affordable local food, as well a facility for them to have direct contact with the food producers. 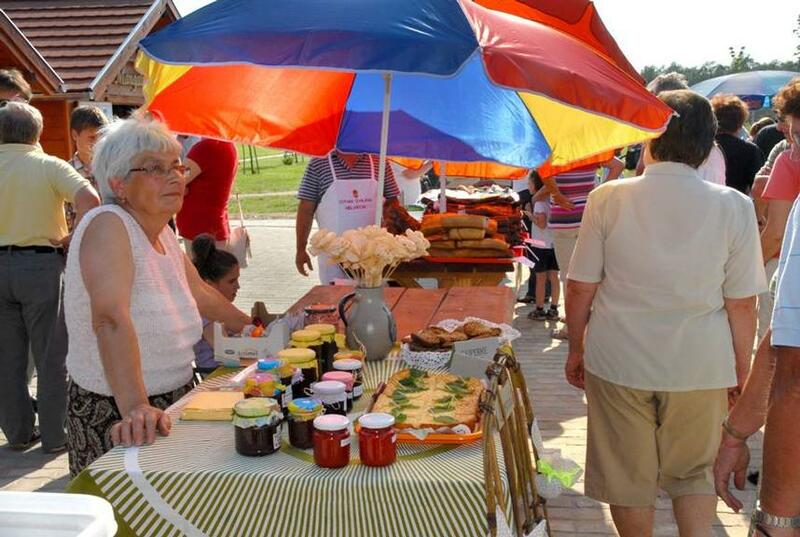 The market is now also becoming a novel rural tourism attraction. Short food-supply chains offer rural areas many benefits including helping rural businesses maximise profit margins via direct sales. Consumers become more empowered through their ability to speak directly to producers - so improving their ability to make informed choices about food products. Producers also benefit from direct contact with customers and short food-supply chains involve less food transport - which is good for rural environments.